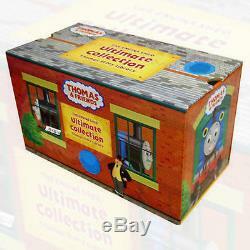 Thomas the Tank Series Engine & Friends Ultimate 68 Books Collection Box Set. Perfect for very young children, this beautiful Engine Shed Complete Collection Thomas Story Library is the ideal gift for any'first' bookshelf. 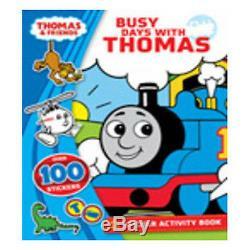 Featuring the loveable blue steam train Thomas the Tank Engine and his array of ever-popular friends including Gordon, Edward and James, this bumper 68-book collection follows the engines around the island of Sodor on their many fun and easy-to-follow adventures. With full-colour illustrations throughout, this bold and bright gift is exceptional value and will keep little ones aged 2+ entertained from start to finish, over and over again! We are an established Online Retailer, Distributor and Wholesaler who specialise in children's books, Cookbooks and diet book series collection. We are based in the East Midlands in the City of Leicester (United Kingdom). Our Aim is to bring quality Books for all at affordable prices. We are a local family run UK Business Dispatching Worldwide. We aim to package by hand most of our items with strong bubble wrap and quality cardboard boxes to ensure your goods are received in best quality. Most customers in the UK can expect to receive their items within 2 days once the item has been dispatched. Our website attracts over 300,000 unique visitors every month and growing, Every year as a group of companies we process over 800,000 orders which are delivered worldwide. Bigger Range of Series book collection and box sets compared to any major high street retail store in the UK. From time to time books will be reprinted or revised. On rare occasions customers may receive an updated revised book which may have a revised cover or the description that may be slightly different to that we have advertised. By purchasing a book from us you agree that you are happy to receive a revised updated edition book. Please note additional items such as cd/ dvd / or any other item is ONLY included, if clearly stated in the listing description. However most books are dispatched within 24hrs. You must accept these terms and avoid giving us bad feedback for dispatch time as we have made this clear in advance. Any change of address must be pre- agreed by us before you place your order. We stock many of our items at Amazon warehouse (Amazon Fulfillment Service). This means sometimes you will receive our books in the same high quality Amazon packaging with faster dispatch time. We may dispatch items together or separately. Please note we sell our books on many different Platforms. This means some books will become unavailable because someone has bought the same book before you on a different platform. This saves us & the customer time as you will receive your order sooner. Terms and conditions of the sale. We aim to dispatch all stocked items from our warehouse within 72 hours. Most customers will have their books dispatched within 48hrs from one of our warehouses on Weekdays and 72hrs if there is a weekend. To see it it is possible to get your item dispatched and delivered via courier with 48hrs express service. How will I know when my order has been dispatched? How long will it take for me to get my order? Tracking is only available to those customers who have upgraded to our express 72hr Courier Service upon request. What do I do if I have not received my order when expected? Please note that couriers can deliver up until. What if there is an item missing or damaged? We shall try our best to rectify this situation. If you are unavailable, the courier should leave a calling card and take the parcel back to your local depot. We aim to offer the very best shopping experience with Plodit Bookwalla however occasionally you may need to return an item. To return an item(s) please follow the following Instructions. Firstly we would like you to write a covering letter with your order reference number and return it with your invoice and goods to. Plodit Ltd Unit 17 Vulcan House Vulcan Road Leicester LE5 3EF United Kingdom. We would recommend that you return your items via tracked post. Some goods are non-returnable for hygiene reasons. Please note that this does not affect your statutory rights. However you will be responsible for the cost of returning the goods to us. The goods do not need to be in their original packaging however in a sell able condition, and at your own cost and risk. You have a legal obligation to take reasonable care of the goods while they are in your possession. If you fail to comply with this obligation, we may have a right of action against you for compensation. The item "Thomas the Tank Series Engine & Friends Ultimate 68 Books Collection Box Set" is in sale since Tuesday, October 06, 2015. 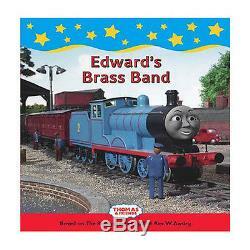 This item is in the category "Books, Comics & Magazines\Children's & Young Adults\Other Children & Young Adults". The seller is "bookbundles2012" and is located in Leicester. This item can be shipped to United Kingdom, Austria, Belgium, Bulgaria, Croatia, Cyprus, Czech republic, Denmark, Estonia, Finland, France, Germany, Greece, Hungary, Ireland, Italy, Latvia, Lithuania, Luxembourg, Malta, Netherlands, Poland, Portugal, Romania, Slovakia, Slovenia, Spain, Sweden, Australia, United States, Russian federation, Canada, Brazil, Japan, New Zealand, China, Israel, Hong Kong, Norway, Indonesia, Malaysia, Mexico, Singapore, South Korea, Switzerland, Taiwan, Thailand, Chile.